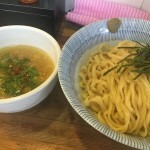 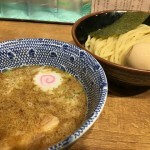 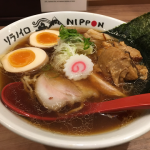 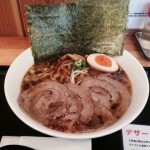 This ramen shop was introduced by the Michelin Guide. 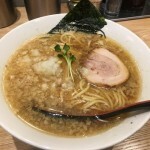 They put Gorgonzola cheese on ramen. 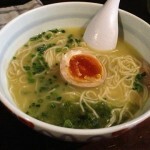 Their ramen is like Italian cuisine. 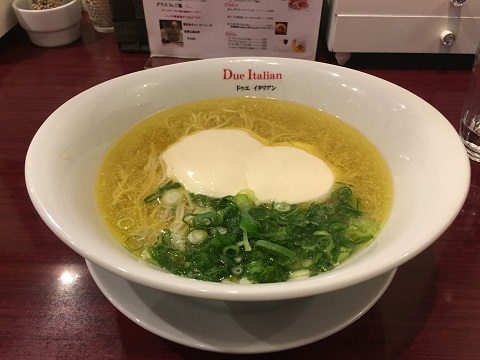 You should mix soup and cheese. 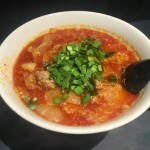 Soup becomes creamy. 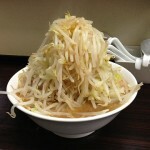 You’ll be surprised at thickness of cheese. 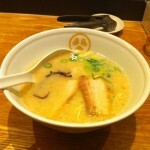 When you finish eating noodle, you could order a bowl of unpolished rice to the staff. 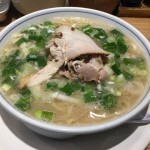 You can put it into soup. 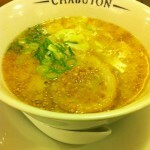 Soup become risotto! 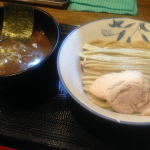 It’s delicious too. 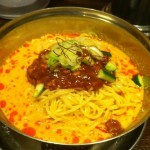 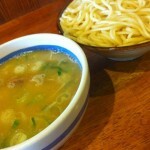 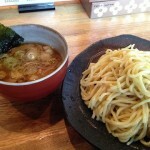 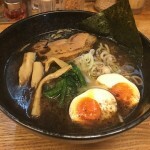 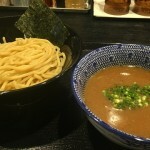 Ramen of this shop is delicious, but there is no change of taste. 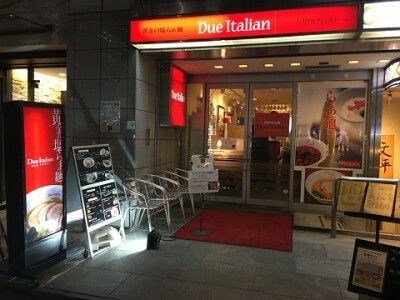 You might be tired of cheese, I guess…But this shop has good cleanliness, so I recommend you this shop. 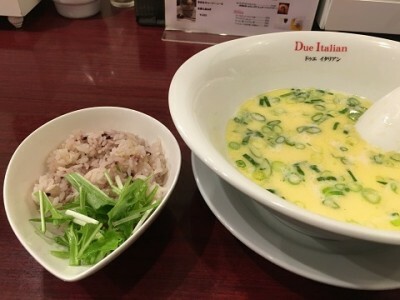 After eating noodles, you should put unplished rice into the soup.It’s ready to eat cheese risotto! 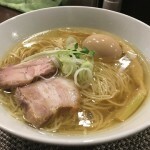 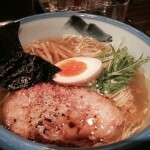 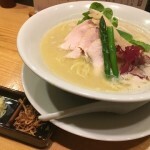 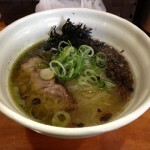 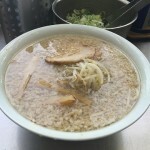 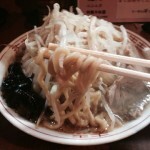 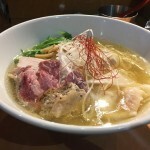 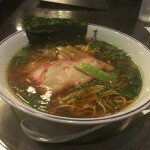 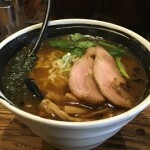 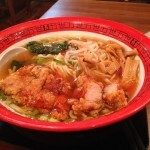 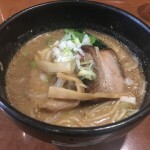 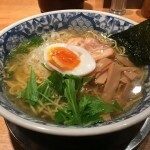 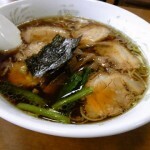 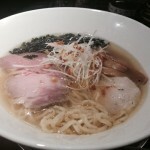 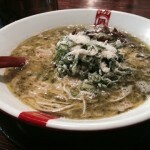 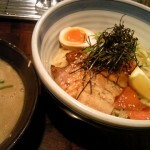 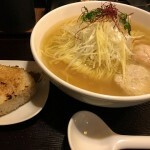 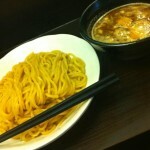 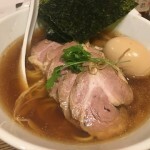 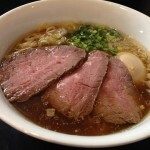 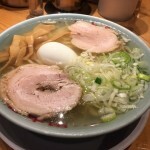 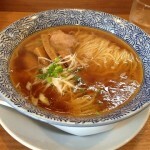 ©Tokyo Yammy Ramen Guide All Rights Reserved.